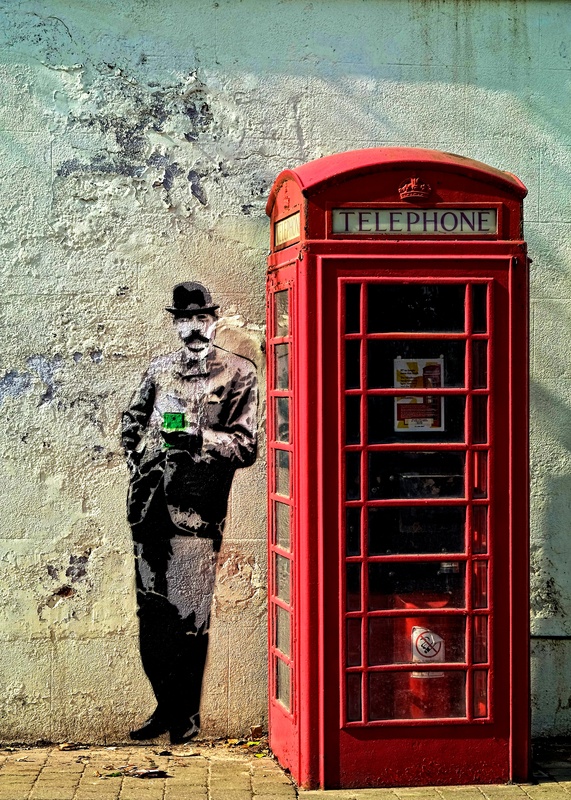 Banksy style street art recently appeared in Malvern, to brighten up a tired bus stop at Rose Bank but now the mystery of who created the Banksy-style Edward Elgar street art has been solved and their already popular work looks set to stay. 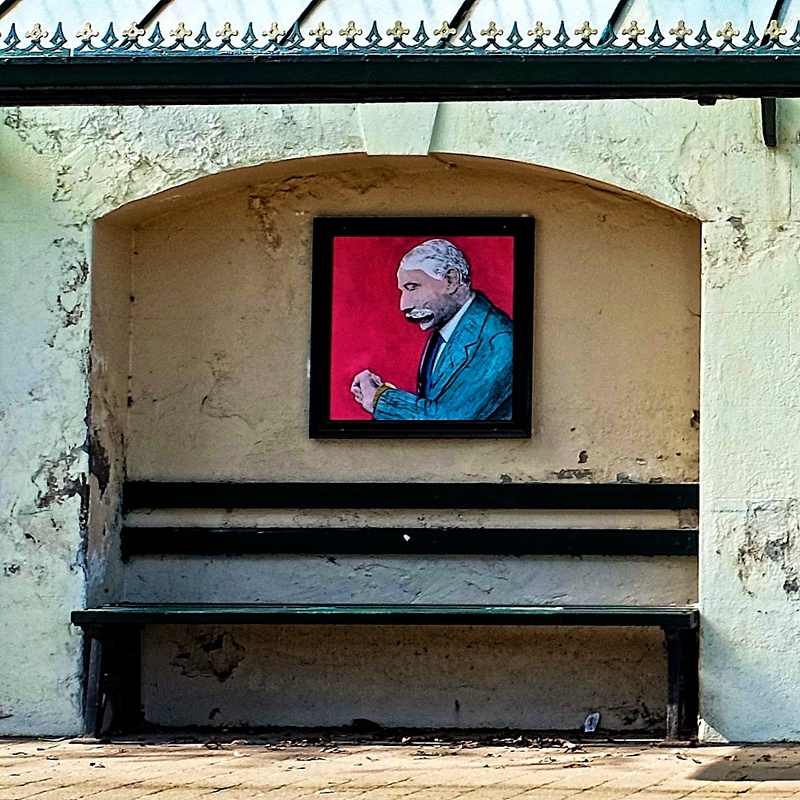 Lee Morris and Tom Brown originally intended their four images of the classical composer on the Wells Road bus shelter beneath the Rosebank Gardens in the Centre of Great Malvern to be a one-off anonymous gift to the town. But after a flurry of warm and welcoming feedback following the appearance of their mysterious artwork in the early hours of Sunday, the creative pair, both 34, have revealed their identities. 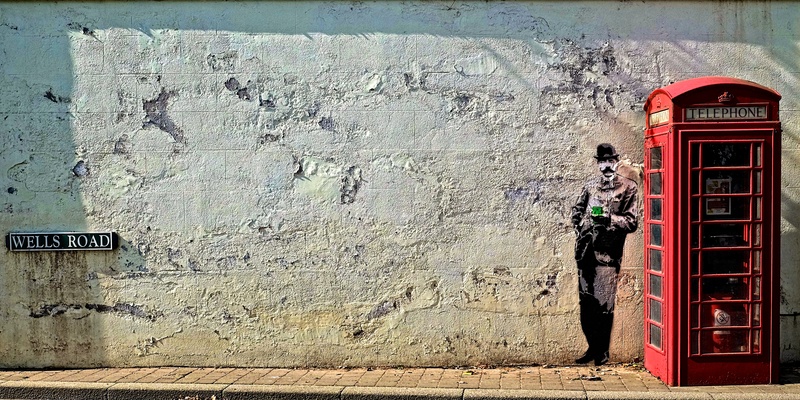 A spokesman for the town council confirmed the work was not commissioned but “in view of the positive response to this artwork” they might consider using some of the pair’s work at other sites in the town. Malvern Town Council is considering adopting the artwork and the council has been urged by a number of Malvern residents to allow it to remain. 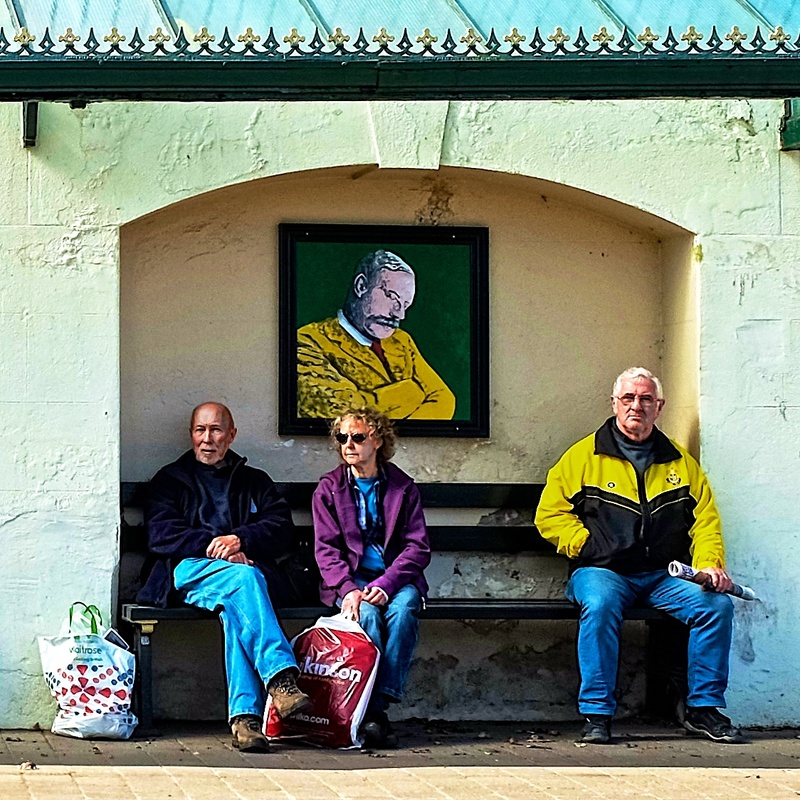 More than 100 hours of work went into producing the images which find Sir Edward nonchalantly standing next to the phone box holding a green smartphone in his hands along with three canvases depicting him waiting for a bus in bright and bold colours. Mr Morris describes the public’s reaction as “surreal” and now intends to sell the original artworks and put the money into the town’s art community, while welcoming suggestions for future work. For more information about the pair’s work, go to weloveart.co.uk. From my own point of view, the street art really lifts the bus stop and it was begging to be given some Fuji Photographic love. 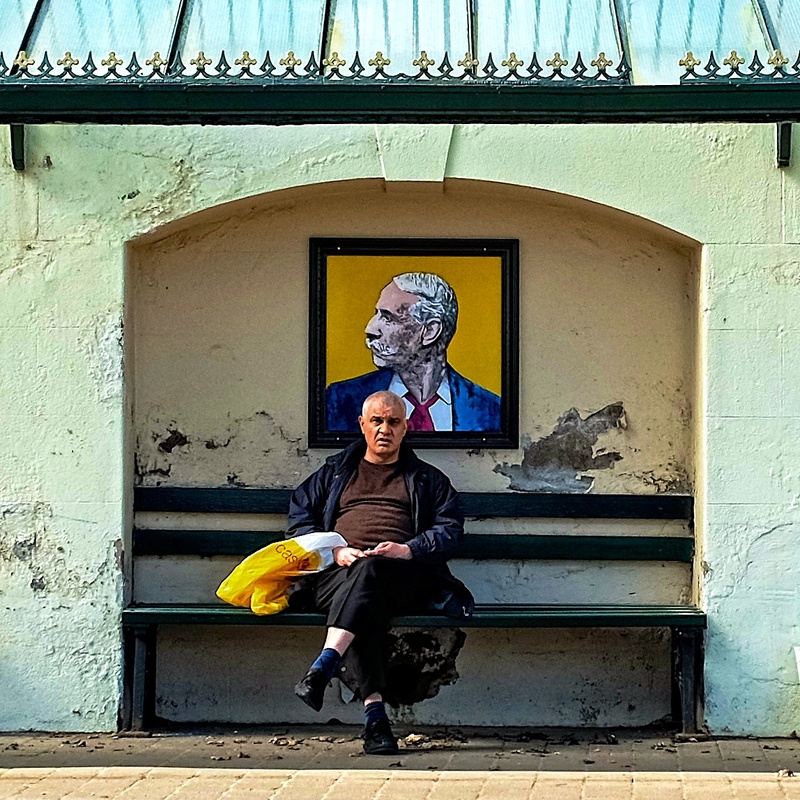 So I hope you like my images of the bus stop and its street art! I love this and commend the town council on embracing this art. How wonderful is that?! I know, pretty impressive from the Council and it has really made it such a interesting stop! Very pleased that you guys like the photos. Art begets art! Thank you for brightening up a part of Malvern.